Edmonton, A.B. — Only a few months after Edmonton Opera’s production of Lilies, revival director Jacques Lemay returns to Edmonton to uncover Canada’s budding talent. Lemay will hold auditions for the Canadian College of Performing Arts (CCPA) on February 23 at 3:00 p.m. at the Edmonton School of Ballet (Vimy Ridge Academy, 8205-90th Ave). Lemay co-founded CCPA with Janis Dunning. Lemay and Dunning are back to celebrate the College’s 20th anniversary year. CCPA embarks on its annual National Audition Tour every February. The College will audition in major cities across the country from February 9 to March 11. Managing Director Lemay will lead the Edmonton auditions alongside Artistic & Education Director Heather Burns. 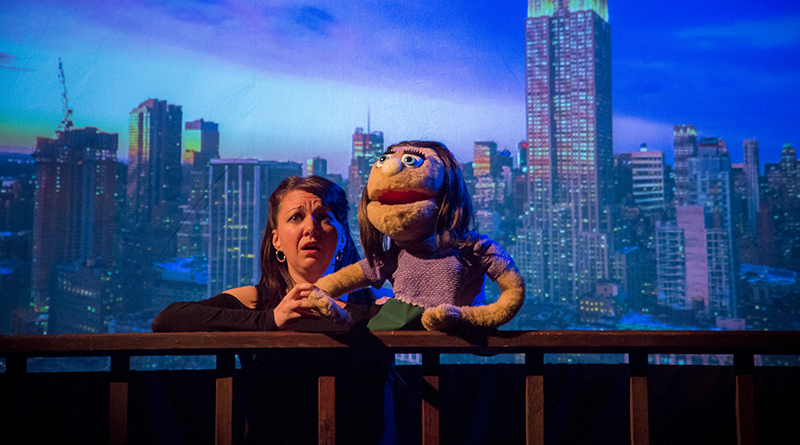 The photo above is from CCPA Alumni Company’s 2017 production of Avenue Q featuring Alison MacDonald. MacDonald is currently based in Edmonton. High-resolution photographs are available to media upon request.